THANK you for allowing us access to your books. There is one correction to your From Guernica to Vietnam. In Guernica General Smuts is mentioned on pages 3, 5 and 10. However, in the index he is referred to as John Smuts. He is, of course, Jan Smuts, as referred to on page 3. The most spectacular of your many media confrontations was on the David Frost show, sometime in the 1970's. At the end of the show you revealed that you had actually brought Hitler's adjudant to the show, who then stood up and confirmed that, to the best of his knowledge, Hitler had never given instructions for the destruction of Jews. I'll never forget the look of stupefaction on Frost's face. PLEASE, can we get a copy of this unforgettable show? I tell so many people about it, and it would be marvelous to show it to them. Hope to see you again in South Africa. "QUITE WHY Golden Boy Frost, having lost one bout on points some years ago against 'Battler Irving' should have sought a re-match, I do not know... Anyway, television's ageing boy wonder looked shockingly out of condition when he appeared in the ring, and Battler was clearly fighting fit. The first round was Battler's since he dodged Frosty's leads and replied with a flurry of punches which certainly had him hanging onto the ropes... Then Frosty called time -- at least it saved him having to throw in the towel." 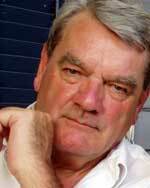 Said the Daily Mail: "If you saw author David Irving defending himself and his theory on the Frost Programme this week, you would have witnessed that he has the nerve and the obsession to make such a statement [that there is no proof Hitler even knew of the Holocaust]. He fought his case with fanatical courage, taking on David Frost, rival anti-Hitler historians and a highly partisan audience."